NFL Free Agency isn’t a week old yet, but hundreds of millions, if not billions of contracts have been thrown around. Yet, as far as the Pittsburgh Steelers are concerned, its been (almost) All Quiet on the South Side Front. The Steelers have signed Fitzgerald Toussiant to a 1 year contract, and seen Chris Hubbard depart for greener pastures in Cleveland. The loss of Chris Hubbard as a free agent, while unfortunate, was completely expected. And as far as Steelers 2018 Free agency, are concerned, Chris Hubbard’s the only free agent defection the Pittsburgh suffers. Now, is that a good thing, a bad thing or is it simply a neutral factoid? On the surface it seems like a bad thing. It is harsh, but fair to look at Steelers remaining unrestricted free agents, Justin Hunter, Eli Rogers Greg Ducre, Daniel McCullers, Arthur Moats, Sean Spence and Stevan Ridley and simply say, “Why would any other team be interested?” The only ones who offer much of a track record is Arthur Moats and Eli Rogers, and Rogers is injured. Kevin Colbert pulled Sean Spence and Stevan Ridley off the couch as injury replacements last December. Ridley did fairly well, Spence struggled for a couple of games, looked good in the last two regular season contests, but during the Steelers playoff loss to the Jaguars he did nothing to make Ryan Shazier’s absence less noticeable. But players like these typically don’t get signed until after the draft. 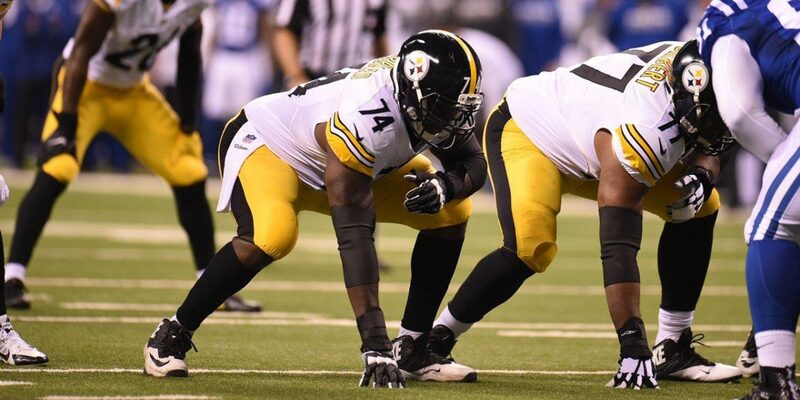 Daniel McCullers phone will stay quiet unless some team suffers a series of injuries on their defensive line during preseason. Indeed, the Steelers most appealing free agent targets are restricted free agents Chris Boswell and Anthony Chickillo. Its unlikely that any team will be willing to give up a 2nd round pick to get Chris Boswell. Anthony Chickillo might be a little more appealing because he would only cost a team a 6th round pick, but NFL general managers seem to value draft picks more than players. For comparison’s sake, the Steelers traded a 6th round pick to get J.J. Wilcox, and J.J. Wilcox had 39 starts under his belt to Chickillo’s 9. The fact that the Steelers most appealing free agents are their restricted free agents speaks well of Pittsburgh’s personnel policies. Since free agency arrived in the NFL the franchise’s focus has always been to resign players before they hit the open market. You can see that at work in two names that don’t appear above, Alejandro Villanueva and Stephon Tuitt. Last summer the Steelers inked new contracts for Alejandro Villanueva and Stephon Tuitt who otherwise would be free to sign with any other NFL team at this moment. With so much going on in the rest of the NFL, it can understandably be a little frustrating to see the Steelers standing pat. But this spring at least, the reason why the Steelers have so few free agents worthy of attracting attention from the rest of the NFL is because they’ve wise personnel decisions, not foolish ones. Ditto the reason why the Steelers salary cap situation doesn’t allow them to go on any shopping sprees. Love it or hate it, what we’re seeing this spring is the Steelers Way in action. This entry was posted in Steelers 2018 Free Agent Focus, Steelers 2018 Off Season and tagged Alejandro Villanueva, Anthony Chickillo, Arthur Moats, Chris Boswell, Chris Hubbard, Daniel McCullers, Eli Rogers, Fitzgerald Toussaint, J.J. Wilcox, Justin Hunter, Pittsburgh Steelers, Ryan Shazier, Sean Spence, Steelers free agents, Steelers salary cap, Stephon Tuitt, Stevan Ridley. Bookmark the permalink.